Why is this man smiling? Cuz he's rich! 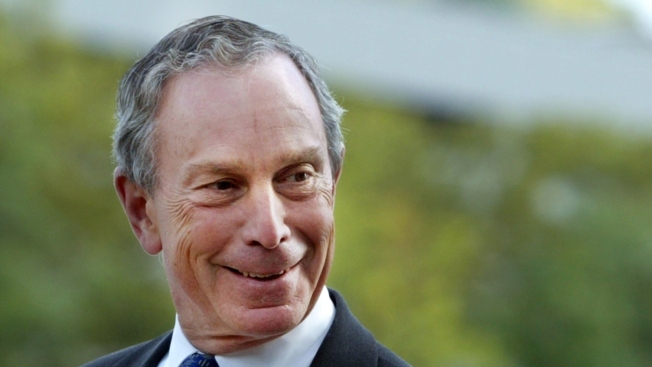 Mayor Michael Bloomberg made $4.5 billion in 2008, bringing his total net worth to roughly $16 billion. In a year that saw the world's number of billionaires fall from 1,148 to 355 and Bill Gates, the world's wealthiest man lose, $12 billion, his honor clawed his way to No. 17 on the global wealth list and was the only billionaire in the top 20 to actually make money, reported Forbes. And he did it by doing business with Merrill Lynch of all people. "The mayor doesn't pay much attention to these lists, and has always thought that how you use your money to make the world a better place is a lot more important than how much of it you have,” Bloomberg spokesman Stu Loeser said in a statement. It's a lot easier to ignore this list when you're actually on it. The jump was thanks in large part to his buyback of Merrill's 20-percent stake in Bloomberg LLC, which Forbessaid made it easier to estimate his wealth. Lest you think Bloomie's perpetrating some Madoff-esque flim-flam, it will comfort you to know that though 2008 was a good year for him, Bloomberg did lose about $4 billion from September through December. Say what you want about his term-limits hi-jinks, his fiat on cooking oils and his regressive taxation of cigarettes, the man absolutely rakes in the dough.